We are to be the hands and feet of Jesus, wherever we may go. And we know you understand that. You desire a deeper connection to and understanding of where God is calling you in your life of ministry. We'll walk with you along the way. You see, despite the fast pace our world moves at, an education in Christian ministry is attainable. This is the opportunity to receive the training you crave. And you'll discover that the door's always open with our caring faculty. And as you're prepared to help others in their greatest time of need or simply day to day, you'll strengthen your spiritual formation practices and pastoral skills. You'll learn how to nurture authentic community. Take up the opportunity to study spiritual leadership skills in a congregational setting. We'll teach you how to apply theological principles and minister to those that need you the most. Practicum can take format of a mentored ministry placement, at least 10 hours per week. Six hours from any courses offered by Hazelip School of Theology that are not already counting toward the requirements above. Program tuition is currently $525 per credit hour. In addition to the standard 25% discount for all Hazelip students, the Hazelip School of Theology offers scholarship and other financial aid opportunities to newly admitted and continuing students. Renick Fund - This fund provides financial assistance to students thanks to a generous endowment gift from Lois Renick of Bowling Green, KY. It is focused on serving those with demonstrated financial need. The awards are granted each fall and last for one year. Previous recipients are eligible to re-apply each year. Hazelip Fund - This fund provides one major award a year which follows the student throughout the entire program of study. It is focused on the merits within a student’s application as well as demonstrated financial need. You must be enrolled full-time to be eligible. The award is granted each fall. Meador Fund - This fund provides financial assistance to students considering ministry professionally thanks to the generosity of the Meador family. Students must be enrolled half-time for consideration. Several awards are granted each fall and last for one year. Previous recipients are eligible to re-apply each year. Graduate Assistantships - The Hazelip School of Theology also offers a limited number of graduate assistantships. Students must be enrolled full-time in the M.Div. program for consideration and can expect to work up to 10 hours per week during the fall and spring semesters. Students are compensated through additional scholarship aid. Assistantships are awarded each fall and last for one year. As a graduate student, you are still able to file the FAFSA—and you should! By filing the FAFSA (Free Application for Federal Student Aid), you may be eligible for a number of student loans. A borrower must be enrolled or accepted for enrollment for at least six semester hours and must be working toward a degree or certificate. Loans must be actively accepted in myLipscomb in order to be applied as an expected payment to the student bill. Stafford Loans will not pay until the student has completed both Entrance Counseling and the Master Promissory Note at studentloans.gov. Loans will not be credited to accounts until 30 days after classes begin or when a student begins the sixth credit hour, whichever comes last. The Graduate PLUS Loan is available to independent graduate students. Both loans require credit approval by the Department of Education, as well as a FAFSA submission. Apply. In addition to the federal loans outlined here, you may consider private loans made by banks and other financial institutions. It is recommended that private loans only be considered in instances where funding is needed in addition to any federal loans, as interest rates may be higher. Eligibility for these loans requires a credit check and students are often required to have a cosigner to qualify. Through an agreement with the United States Department of Veteran Affairs, Lipscomb University will guarantee some level of graduate tuition funding, applicable to all Lipscomb University graduate programs, for graduate students who qualify for the Yellow Ribbon Program. Depending on program tuition rates, the graduate tuition funding may or may not cover the total tuition cost of the program. The Yellow Ribbon Education Enhancement Program (Yellow Ribbon Program) is a provision of the Post- 9/11 Veterans Educational Assistance Act of 2008. This program allows institutions of higher learning in the United States to voluntarily enter into an agreement with VA to fund tuition expenses. View eligibility requirements. Any questions concerning eligibility or benefits should be directed to the VA school-certifying official located in the lower level of Bennett Campus Center, Suite 140, or visit their website. Our courses are offered at a variety of convenient locations around Nashville or online, at times designed to work with your busy schedule. Our hybrid class model allows you the best of going to school as a working professional. 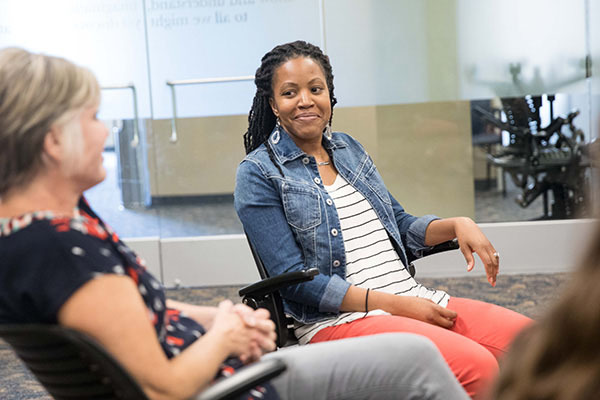 Both our deeply connected faculty and our experiential learning opportunities offer myriad ways for you to form relationships with leaders in the industry. These connections will serve and support you throughout your career. A big city. An even bigger opportunity. We consider Nashville an extension of our classroom, and as a leading city in many industries, that means you’ll gain experience and insight you won’t find anywhere else. Conduct religious worship and perform other spiritual functions associated with beliefs and practices of religious faith or denomination. Provide spiritual and moral guidance and assistance to members. Plan, direct, or coordinate programs designed to promote the religious education or activities of a denominational group. May provide counseling and guidance relative to marital, health, financial, and religious problems.